Aztec Empire ruled the area in and around the Valley of Mexico from the mid-15th century until its fall less than a century later, when the Spanish conquistadors destroyed this prosperous civilization. There are plenty Aztec themed slots out there, but you’ll still be glad that Microgaming’s partner studio Just For The Win decide to launch its own version, creating a nice-looking cartoon-styled slot with an unusual bonus feature. Amazing Aztecs features 5-reel 3-row layout and brings a total of 243 different ways to win (similar to popular Aristocrat slots – Wicked Winnings 2, Red Baron and others). Giant Re-Spin feature where you blocks of giant symbols up to 4×4 on the reels will help players grab serious cash prizes. Multiple opportunities to win. The game features 243 different ways to win, meaning players can look forward to potentially very handsome rewards. Giant Re-Spin feature. Get blocks of giant symbols up to 4×4 on the reels, and you’ll be guaranteed a win! RTP of 96.03% and medium volatility. 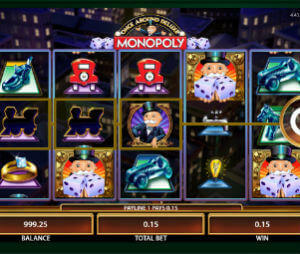 The game offers well-balanced payouts and is ideal for the majority of players. Superb visuals and sounds. Microgaming’s slots machines are known for its looks, and this one is no exception. Playable on a wide variety of devices. Needs more features. 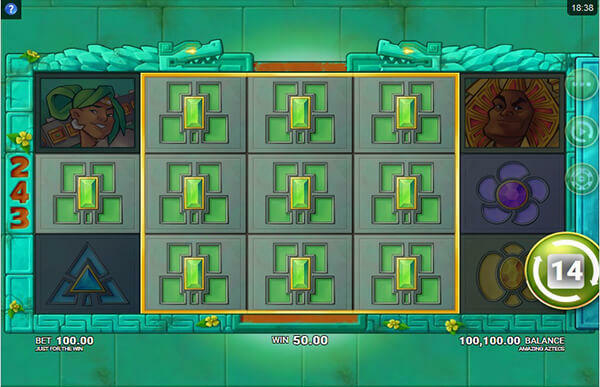 Unfortunately, players won’t find any wilds or bonus symbols in Amazing Aztecs, nor will they be able to trigger the Free Spins round or use multipliers. Too repetitive. The game can become a bit boring after some time, and the fact it has the potential to offer huge rewards doesn’t make it any more interesting. Just For The Win did an amazing job with the game’s appearance, and Giant Re-Spins is definitely a unique feature, but it’s also the only one on offer. No Wilds, no Scatters, no multipliers… we believe the developers should have thought this through. The game’s only feature is the Giant Re-Spin, activated after any winning combination if a symbol in a win gets highlighted. The highlighted symbols will be the only one that will come into play while the feature is active. Players will encounter 2×2, 3×3 and 4×4 block of the highlighted symbol on the reels, which will significantly boost the winning potential. A respin will be awarded, which may help players score nice big wins. Amazing Aztecs in a well-designed game, with a nice theme, and a feature that promises big payouts – going up to 824 times the wager – if you’re lucky enough. Its volatility will appeal to both penny punters and high rollers, but it definitely lacks more features. With no Wilds, no Scatters, no Free Spins, no multipliers, Amazing Aztecs will hardly become anyone’s favourite game. Sadly, since the game had a lot of potential.